A great carne asada marinade is the foundation of this popular Mexican classic. The marinade has to accomplish two things, add flavor and tenderize the meat. Since carne asada is made with skirt steak which is not the most tender of beef cuts the carne asada marinade is crucial. This post may contain affiliate links which means if you purchase we may receive a small commission at no additional cost to you. When I lived in Southern California, we would all get together to have a cookout and Carne Asada was always the star of the evening. 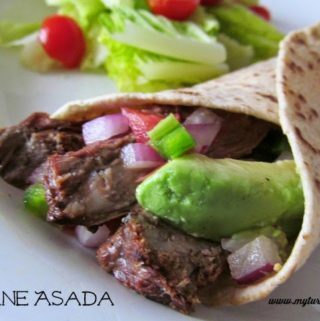 Carne Asada means “grilled meat” in English but its so much more than that. Skirt steak that has been seasoned by a carne asada marinade. And it’s then grilled with char and sliced against the grain, rolled in a heated tortilla with plenty of toppings. It’s a little bit of heaven. You could stand around the fire and eat that carne asada burrito with one hand and drink a beverage in the other. It’s a great way to bond friends together or just enjoy the friendship. We haven’t been able to find a great carne asada marinade since we left California. You can have it shipped but that is kinda pricey. So it came down to creating our very own recipe for the marinade. And after several experiments, we came up with this blend. It comes closer to any other I have ever tried and it brings back those great flavors from those great times with those great friends. 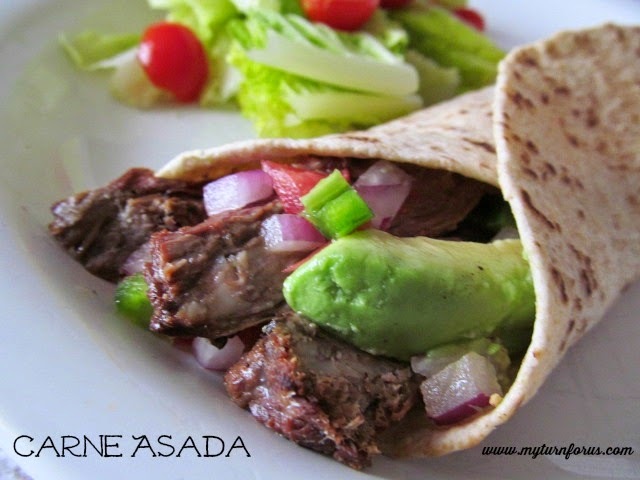 To make the best carne asada burrito, skirt steak needs to be seasoned with a great carne asada marinade. And the marinade has to be rich enough to be the basis of the flavor and amount of tenderness of the meat. Our simple marinade recipe may not sound authentic but just wait till you taste the finished result. 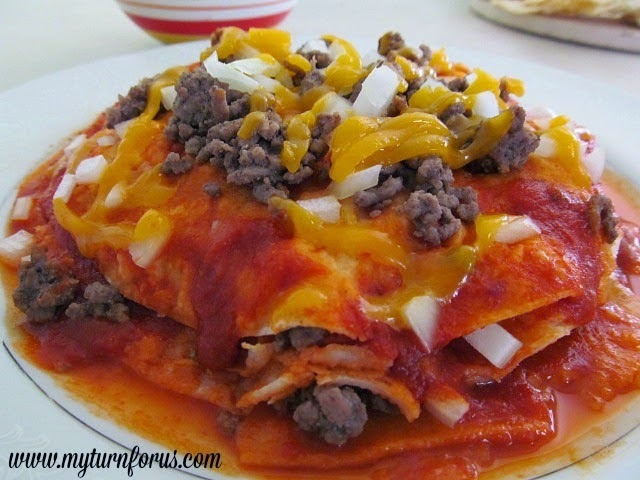 Just take one bite and you will think you are in dining in a Southern California taco shop. It’s just delicious! In a medium bowl, combine the juice of 4 of the lemons, the minced bell pepper, garlic, jalapeños, teriyaki sauce, sugar and salt. Stir until sugar has dissolved. Cover and refrigerate for at least 2-4 hours or overnight. Remove the meat from the sauce and dispose of the sauce. Grill the meat over a medium high flame for 6-8 minutes on each side. The meat should be barely pink inside. Remove from fire, let rest 5 minutes, then slice into diagonal strips against the grain of the meat. Join us and receive "How to Season and Care for Cast Iron" ebook and weekly email newlestters to what's cooking at the Ranch. these all look so fabulous!! 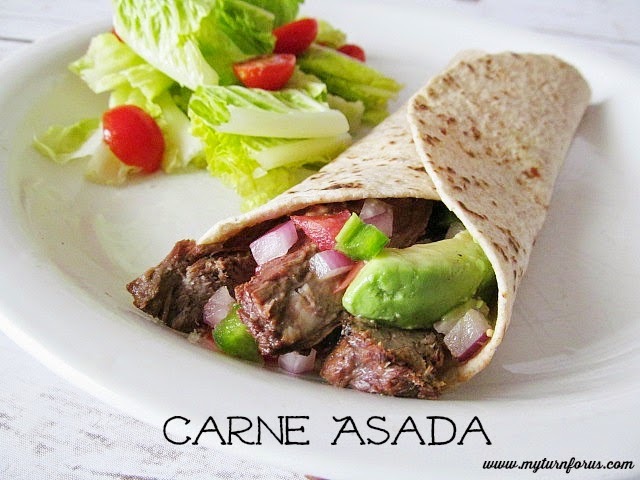 I love carne asada and yours look so healthy and full of great flavor! 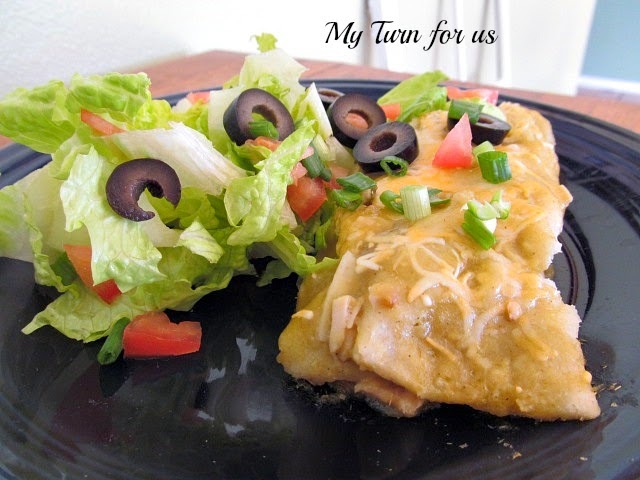 One of our favorite dishes! It's so amazing how a dish can bring back such great memories of fun times with friends. I had my first "street taco" after moving to Phoenix ….. how have I lived 30-something years without this deliciousness?! Needless to say, I am hooked on all things carne asada now! Seriously, it is the best stuff ever – I may even invent a few new ways to eat it! The taco truck guy is going to know my family on a first name basis soon – we stop every time we see him out! 😀 I love that you shared your version – I can't wait to give it a try! My husband RAVED about this. Claimed it was the best marinated meat he had EVER eaten. I am so glad he enjoyed this Carne!! Thanks so much for letting me know, love feedback like this! !